How and when do I notify someone that she has to sign a non-compete agreement? This sounds simple, but it's not an easy question to answer. Particularly with closely-held companies, a business may not have robust or sophisticated human resources help. They may hire infrequently. And they may not want to deal with their outside counsel to keep costs down. They may think of a non-compete at the 11th hour, before an employee has started but after she has committed to the relationship. Or, just as frequently, the employer may decide to have her sign a non-compete after the employer has begun work. Because of the perceived "need to please," an employee may feel compelled to sign the agreement without a second thought. These scenarios raise complicated issues of contract formation: when exactly do you have a contract and is there consideration for it? 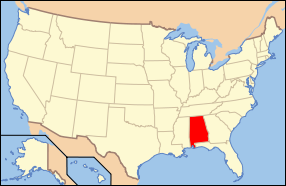 The recent experiences of two states - Alabama and Washington - illustrate the challenges posed. Alabama has a strange contract formation rule. It has a statute that courts have interpreted to validate non-compete arrangements only if they are "signed by an employee." That requirement is somewhat anamolous because a prospective employee who has been offered employment but who has yet to start is not "an employee" able to sign an enforceable contract. This very paradigm rendered a non-compete unenforceable in Dawson v. Ameritox, Ltd., 2014 U.S. Dist. LEXIS 801 (S.D. Ala. Jan. 6, 2014). This somewhat runs counter to advice that attorneys often dispense, which is to tell an employee beforehand of the non-compete to give that person adequate time to consider it. Contrast this with a jurisdiction like Washington which has a fairly strong consideration rule. 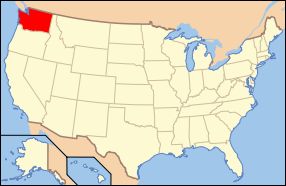 Like many states, Washington states that an employee may sign a noncompete when hired (such that the employment itself is consideration). But if she signs it at some time after hire, then the employer must provide fresh, independent consideration. The Court of Appeals of Washington reaffirmed this rule in McKasson v. Johnson, 2013 Wash. App. LEXIS 2848 (Wash. Ct. App. Dec. 17, 2013). The key point here is preparedness; the employer must ensure the agreement is signed at the start of the relationship. So, what to do? The most important task for any corporate counsel or in-house attorney to do is to determine what kind of consideration rules a particular state has concerning non-competes. The Alabama rule, to be sure, is odd. The rule in Washington is far more common. And then there are plenty of states where continued employment will suffice, in which case the concerns about contract formation are not quite as paramount. These rules are important because they override any issues pertaining to a contract's scope or whether an employee even committed a breach. They determine whether there is a contract to begin with.